Manuel sent me a partly processed image of Jupiter. Wow! 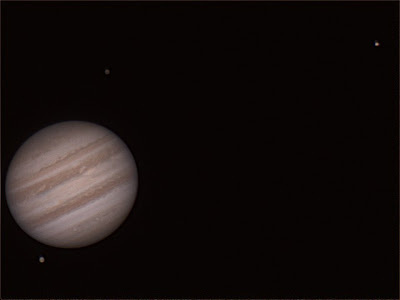 Made with an CGEM DX mount, Celestron 8", Powermate 2.5, DFK camera, focused manually. Incredible detail. Looks like the seeing was awesome. And that's mighty-fine collimation too, if I may say so myself. He's gettin' really good at this.